Join me for an informal event to learn more about the benefits of funeral pre-planning and cemetery monuments. 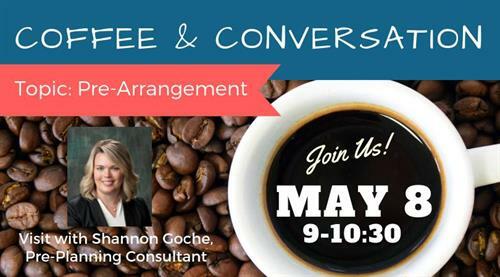 Enjoy coffee and pastries as we discuss your options and answer any questions you may have. Each guest will receive a complimentary pre-planning guide. You may also schedule an appointment anytime to meet one on one with Shannon by calling 515-295-3731.